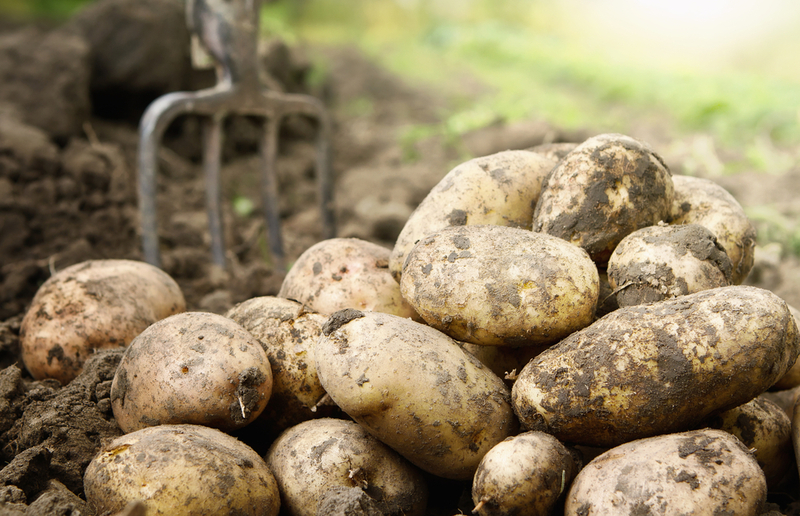 Why are Potatoes Called "Spuds"? Chelsea asks: Why are potatoes called “spuds”? Among other definitions, a “spud” is a “sharp, narrow spade” used to dig up large rooted plants. Around the mid-19th century (first documented reference in 1845 in New Zealand), this implement of destruction began lending its name to one of the things it was often used to dig up, namely potatoes. This caught on throughout the English speaking world and this slang term for a potato is still common to this day. No surprise then that the word “acronym” didn’t pop up until 1943. Beyond referring to potatoes, the ultimate origin of the word “spud” isn’t known, first showing up in English around 1440 referring to a short dagger, possibly from the Dutch “spyd”, the Old Norse “spjot” (spear), or the Latin “spad-” (sword). Whatever the case, after the 15th century, the word expanded from meaning “a short dagger” to also referring to various types of digging implements and eventually to those tubers we all know and love, potatoes. Interestingly, when potatoes were first introduced to Europe, they met with a lot of resistance for a variety of reasons, from people thinking they were poisonous to people refusing to eat them because they weren’t mentioned anywhere in the Bible. Read more about this in “The History of French Fries” link below. I love this e mail everytime it arrives. Who knew so much of topics that are covered. Thank you so much for all the wonderful info. Potatoes germinate from several spots on the potatoes surface if the temperature under which they are stored goes above 39 degrees celsius. Technically these germination points are called sprouts, but probably because of the usual habit of anthropomorphising vegetables and tubers we often call these sprouts ‘eyes’ suggesting potatoes look like mis-shapen heads with faces. In truth I don’t know the origin. I do know that the potato germination sites are commonly called ‘eyes’.